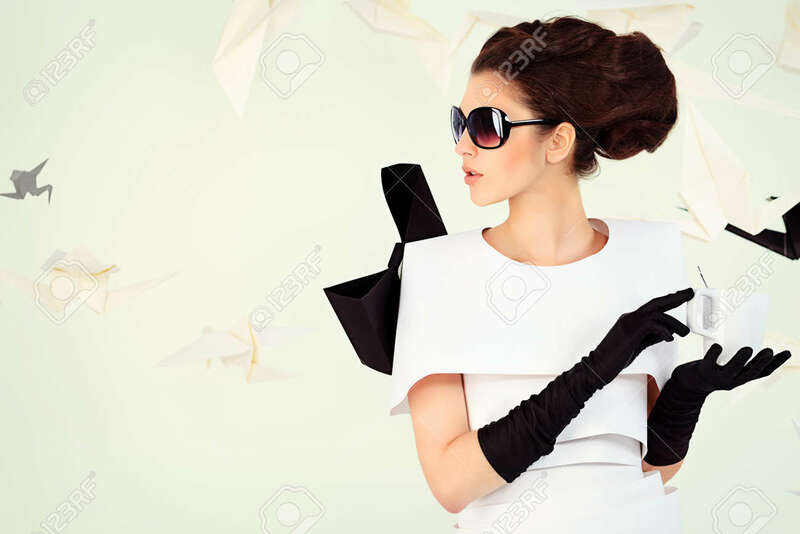 Close-up Art Fashion Photo Of A Gorgeous Woman In Paper Dress. Black And White. Royalty Free Fotografie A Reklamní Fotografie. Image 20104714. Reklamní fotografie - Close-up art fashion photo of a gorgeous woman in paper dress. Black and white. Close-up art fashion photo of a gorgeous woman in paper dress. Black and white.